This book is part philosophy and part work-out guide. It has been crafted for heathens who understand the body as a key to finding a pathway to the gods. Our attitude is simple, yet radical. We are going to make no apologies for what can be attained by the human body and mind. We make no apologies for our desire of strength and our abhorrence of weakness! We make no apologies for the strength of our gods! LIKE THE GODS WHO REIGN UP HIGH. THERE ODIN WILL GREET US AT THE GATES AS WORTHY OF HIS HALLS. Why become a heathen warrior? Somewhere in the world there are men training. They are training to kill you. They are training to be better than you. To over take you when the get they chance. They have not fallen for the lie that weakness is some kind of virtue to be admired. Now the question stands… Are you prepared? Preparation begins by becoming strong. The stronger you are the harder you are to kill. As we train to become the elite warriors of our gods, we are transforming ourselves into a living and breathing rune of strength. Our rune is Uruz. Our mission is to become it with no apologies or excuses. The predator never apologizes to its prey. Like so, you shall train. For it is better to be strong than it is to be weak. Strength is to become something admired. Something godly. It is a divine gift, but not without sacrifice. Strength is difficult to obtain. But with hard work and the right orientation, you can obtain it. Now is the time to join the ranks of the gods and heroes of the past. 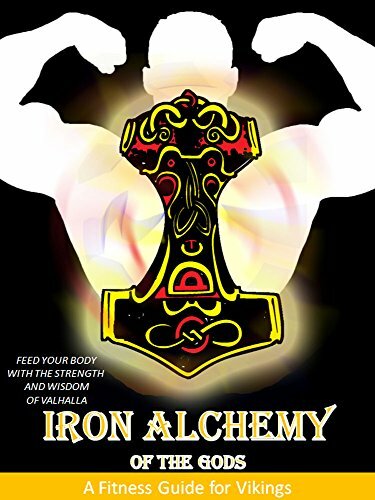 Train for Valhalla. Be prepared for Ragnarök.